ASHRAE Toronto Chapter will like to invite our chapter members and guests to our February 2016 dinner meeting. 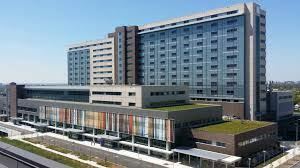 One of Ontario's largest regional acute hospitals, serving over 850,000 residents in the northwest Greater Toronto Area, University of Toronto-affiliated Humber River Hospital is the first fully-digital hospital in North America. Key features of this state-of-the-art healthcare centre include voice recognition for prompt bedside charting, robotic blood testing (with results ready in minutes as opposed to hours), and the ability for patients to order food, use the phone, and control their lighting directly from their bedside terminal. Additionally seventy five percent of supplies are delivered by automation, including robotic delivery of non-narcotics. The results of the design work can be seen on all levels of the new 14-storey hospital. The building operations command centre, food court, retail shops, and the spectacular outdoor amphitheater are all located on Level 0. Uniquely, the site incorporates a natural slope which allows in more natural light than an average building’s lower floor. Levels 1 through 14 offer a variety of services, including a comprehensive range of acute care services and support featuring the best technology available for patient’s needs. Designed and constructed to LEED Silver designation under Infrastructure Ontario's DBFM procurement, this project exceeds the energy efficiency requirements of the Model National Building Code (MNECB) by 49%. Sustainability was a major component in this project, with mechanical systems that include a condensing dual fuel boiler plant, high efficiency heat recovery chilled water plant, low velocity air handling systems, air and water side energy recovery and low flow plumbing fixtures for reduced water consumption. HDR's presentation will centre around the use of dynamic glass (or smart glass) in the project. At almost 26,000 sqft it is one of the largest smart glass installations in the world and makes a major contribution to the overall energy efficiency of the building. Langdon is an Associate Principal at Smith and Andersen. He graduated from the University of Toronto for with a degree in Engineering Science in Biomedical Engineering. Since then Langdon has worked as a Manager and Consultant on client capital projects, engineering and maintenance. 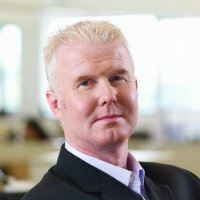 He is also affiliated with ASIS International (American Society for Industrial Security), Building Industry Consulting Service International, and Professional Engineers of Ontario. Brent has been a Senior Project Manager at Smith and Andersen for the past seven years. He graduated from the University of Toronto for with a degree in Mechanical Engineering. 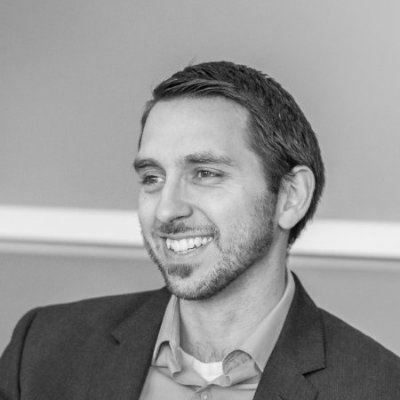 Brent is a member of the USGBC and is a LEED Green Associate. 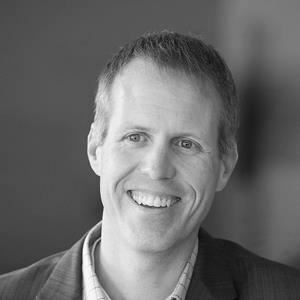 Norman Fisher is a qualified architect and LEED AP with over 25 years of experience in master planning, programming, and the design of science and healthcare enabled facilities. These projects include P3 healthcare, research and teaching laboratories, clean room, high containment and manufacturing facilities. Norman has successfully delivered projects for some of the world’s largest health research focused companies and leading institutions, both in North America and Europe.